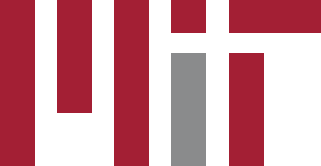 MindHandHeart Beat—events and news from MIT’s well-being initiative. 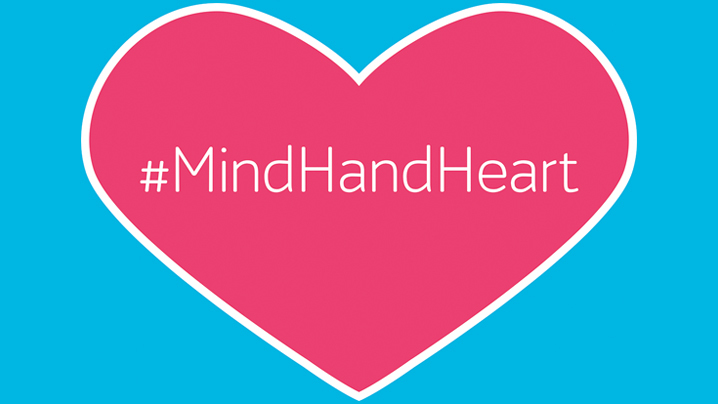 MindHandHeart Innovation Fund Opens March 1st! 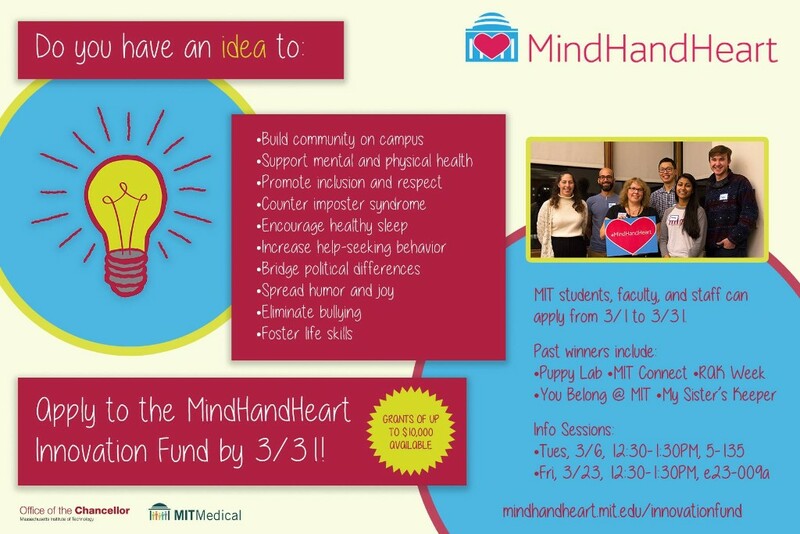 The MindHandHeart Innovation Fund supports great ideas like the Puppy Lab and Random Acts of Kindness Week that make MIT a healthier, stronger, and more welcoming place. Grants of up to $10,000 are available. Applications are open from March 1-31. 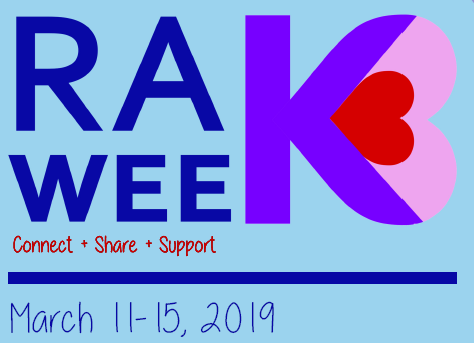 Random Acts of Kindness (RAK) Week begins March 11th! The majority of US college students spend hours each day on social media platforms. 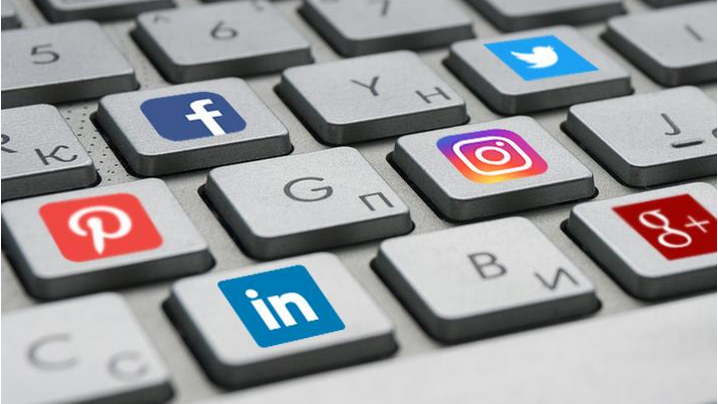 Here are some tips to use social media in a healthy, positive way. 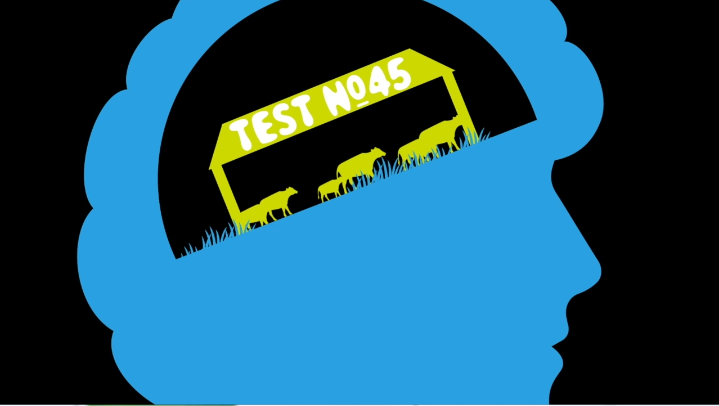 Watch Professor of Animal Science at Colorado State University Temple Grandin explain why the world needs neurodiversity in this fun animated video. 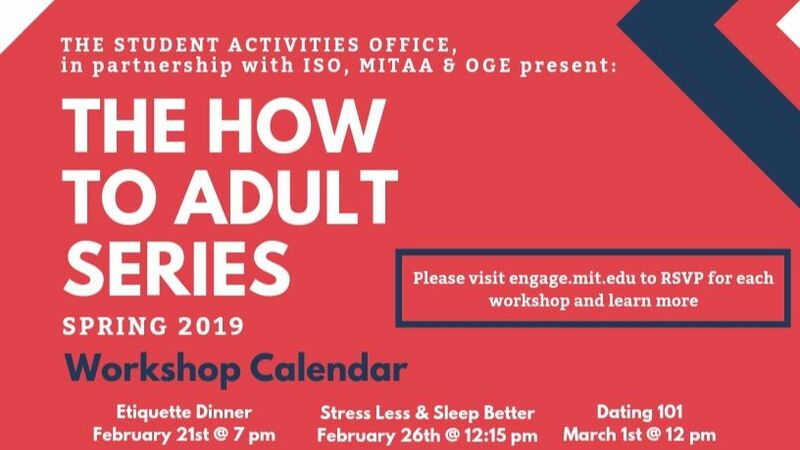 The How to Adult Series of workshops is offered by the Students Activities Office in partnership with the ISO, MITAA, and OGE. Visit the MIT Engage website to learn more and register for these events. Come make new furry friends at the MIT Libraries Furry First Friday on March 1 from 2-3:30pm! Dogs and their handlers will be outside Hayden Library near Killian Hall. Start off the spring with a wellness class! 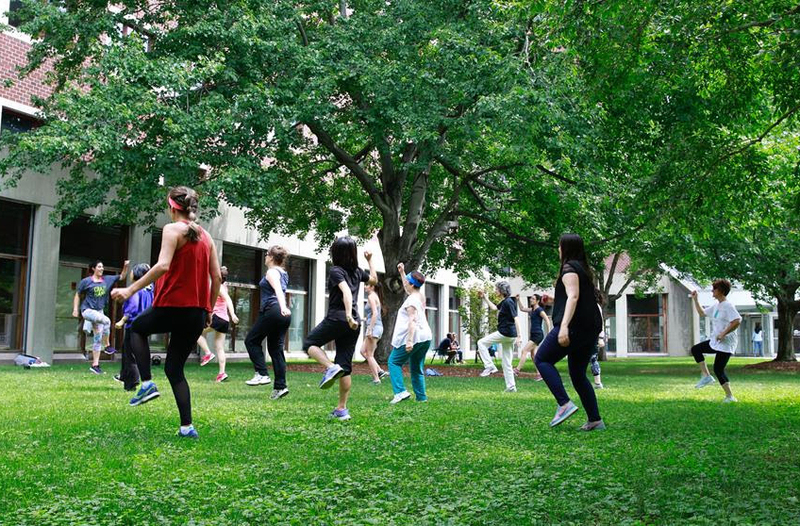 MIT Medical's Community Wellness offers a wide range of classes in a number of topic areas to help improve quality of life for members of the MIT community. 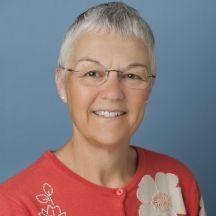 In this Conversations with MIT Medical podcast, Executive Administrator of MindHandHeart Maryanne Kirkbride explains how MindHandHeart is working to build a healthier, stronger, and more welcoming MIT community. Copyright © 2018 MindHandHeart, All rights reserved.